Is It Harmful to Cook Food in the Microwave? 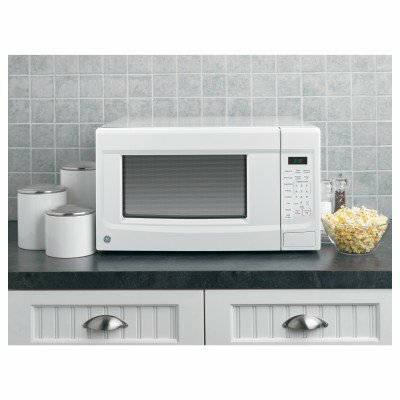 Microwaves are high-frequency radio waves and widely used in fields like telecommunications, television broadcasting, etc. Of late, using this technology in cooking is becoming more significant due to the convenient time required to cook and the simplicity of the technology. Microwaves are reflected off metallic surfaces, pass through glass, and are absorbed by certain others, like water. The microwaves absorbed by the water make the water molecules vibrate, and the energy is converted to heat. It is this principle that is applied in microwave ovens. If a food has a higher water content, it cooks easily and quickly. On the other hand, food items with lower water content tend to cook unevenly. The method to avoid uneven cooking is to monitor the food and rotate it occasionally to facilitate uniform cooking. According to the World Health Organization (WHO), a microwave employs specific heating in which it only heats the food and not the whole microwave, which results in faster cooking times. There are several concerns and misconceptions about the safety and quality of preparing food in a microwave. It has been suggested that somehow the food cooked in a microwave is of less nutritional value than conventionally cooked food. Another concern raised is that the microwave itself or the food cooked in them can cause cancer. Empirical evidence obtained by serious scientific research have shown that the differences in nutritional content between microwaved food and conventionally cooked food are negligible. There also appears to be higher nutrition retention in microwaved food compared to food cooked by conventional methods of boiling, frying, steaming, or grilling. The WHO and the Food and Drug Administration of the USA, two credible health organizations, have clearly stated that microwaved foods do not cause cancer, since microwaves get converted to heat energy when absorbed by the food. Microwave ovens do not use X-rays or gamma-rays. They are designed to keep all microwaves contained inside the oven. The microwaves are generated only when the door of the microwave oven is shut. This eliminates the possibility of radiation leaks unless the machine is damaged, in which case it should not be used in the first place. Go ahead and cook in the microwave oven and enjoy nutritional food, especially the extra time in hand. Cross, G. A., Fung, D. Y., & Decareau, R. V. (1982). The effect of microwaves on nutrient value of foods. Critical Reviews in Food Science & Nutrition, 16(4), 355-381. Lassen, A., & Ovesen, L. (1995). Nutritional effects of microwave cooking. Nutrition & Food Science, 95(4), 8-10.